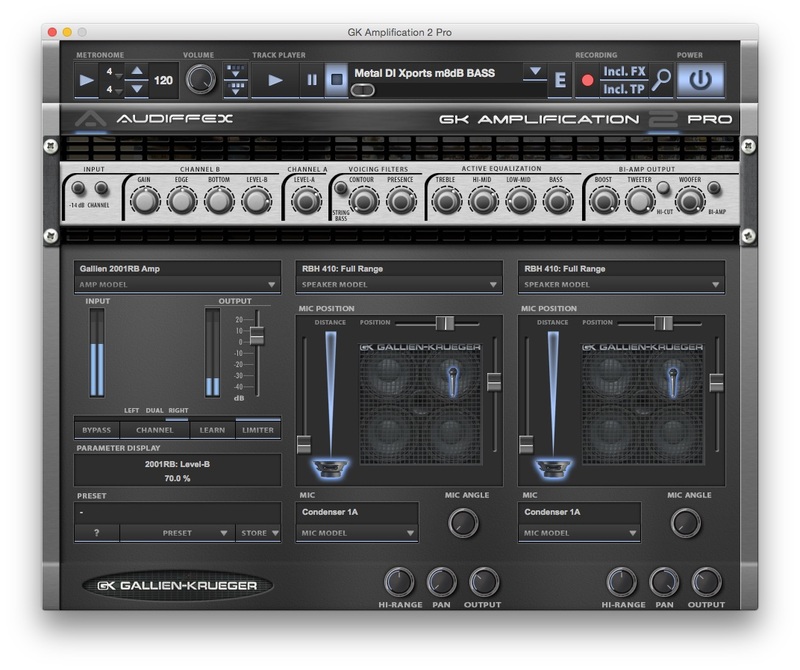 Plug-in and a standalone application including exact models of Gallien-Krueger amps and speakers. Enhance the bass tracks in your DAW application or use the wide possibilities of the standalone application to perform live, practice with your favorite tracks, or record your bass ideas. All the functions of the original amps (Bi-Amp, filters) are available. All controls work the same way as their hardware counterparts. GK Amps' advanced track player lets you play along with your favorite artists and learn their songs. Speed control allows you to slow down, if you can`t make it, or even speed up. The built in recorder will keep every new riff safe. Record dry bass sound, processed, or even mix with the track player.